A novel written as part of a Creative Writing course at Bangor University has just won The Write Factor Shortlist Award, 2014 and been published for new author, Rhian Waller. 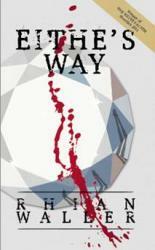 Rhian’s debut novel, Eithe’s Way, was written as part of a Creative and Critical Writing PhD at Bangor University’s School of English. The novel follows the journey of a young woman who runs away from domestic abuse and into a metaphysical relationship that challenges the central character, Eithe, to find her own strength and direction in life. Rich in magical realism, Eithe’s Way is already receiving critical acclaim. The judges were impressed by Waller’s sublime turns of phrase and her ability to build a palpable sense of tension and foreboding in the narrative. Ian Gregson, Professor and Director of Creative Writing at Bangor University, and author of Not Tonight Neil (Cinnamon, 2011), says, "Rhian Waller’s ‘Mirror Man’ is a brilliant invention and up there with the best metafictional imagery in contemporary literature." 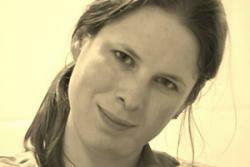 Rhian earned a First Class Honours degree and won the John Danby prize for the best graduate at the School of English in 2007. After graduating, she spent time travelling in Europe and in ecological volunteer posts, before finding out about the PhD. Rhian studied for her PhD while training as a journalist, and completed it while working full time, although, she says she wouldn’t recommend that to any other students. 29 year old Rhian was born in Grimsby, but has spent most of her life in north Wales and currently lives in Mold and is a part-time lecturer in further education.